Complying with a Finance Ministry bureau’s request, a land ministry bureau inflated the estimated volume of waste buried in state-owned land, causing garbage-removal costs to soar to about 800 million yen ($7.5 million), sources said. That figure was about the same as the discount given to school operator Moritomo Gakuen when it later bought that land in Toyonaka, Osaka Prefecture, in June 2016. The Kinki Local Finance Bureau’s request to the West Japan Civil Aviation Bureau, which owned the land, indicates that the size of the discount was decided upon even before the waste-removal costs were estimated. The padded figure pokes more holes in the Finance Ministry’s explanation on why it drastically reduced the price of the land. The ministry has said the lowered price took into account the expenses needed to remove waste buried deep in the land. Opposition lawmakers, however, say the discount had more to do with the former Moritomo Gakuen director’s connections with first lady Akie Abe. The Osaka District Public Prosecutors Office is investigating a complaint that government officials committed breach of trust in the sale of the land. Investigators are looking at the process leading up to the transaction, and they are believed to have obtained witness statements about the finance bureau’s request to the civil aviation bureau. 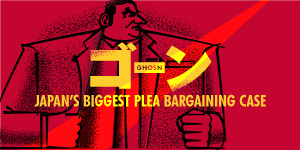 According to the sources and related documents, the Kinki finance bureau made the request to the civil aviation bureau based on the premise that the price of the land would be discounted by about 800 million yen. At the time, the civil aviation bureau was in the process of calculating the volume of waste on the land. In April 2016, the finance bureau received the civil aviation bureau’s estimate that 19,520 tons of waste was buried in the land, requiring about 820 million yen in waste-removal costs. Those costs were several hundred million yen higher than the initial figure. The appraisal of the value of the land was conducted under the condition that the waste estimate would be taken into account. Eventually, the local finance bureau sold the land to Moritomo Gakuen for 134 million yen by subtracting about 820 million yen for waste-removal costs and minor expenses from the land’s appraised value of 956 million yen. After The Asahi Shimbun in February 2017 first reported the sharp discount given to Moritomo Gakuen, Diet deliberations focused on the appropriateness of the sale and whether nepotism was involved. Both Prime Minister Shinzo Abe and Akie, who had been named honorary principal of a private elementary school that Moritomo Gakuen planned to open on the land, have denied any role in the deal. Nobuhisa Sagawa, then director-general of the Finance Ministry’s Financial Bureau, repeatedly justified the price and procedures of the sale. “(The estimated waste-removal costs) were calculated appropriately by the West Japan Civil Aviation Bureau, and we sold the land at a market price after subtracting the waste-removal costs,” he told the Diet. In November 2017, the Board of Audit, which looked into the sale of the land, said it was unable to confirm the depth of the buried waste and its ratio in the ground that were used in calculating the estimated volume of the garbage. The board concluded that it found no justification for the discount, and said the actual figure for the waste could be up to 70 percent smaller than the civil aviation bureau’s calculation of 19,520 tons. It also came to light this month that an employee of the Kinki finance bureau asked a lawyer for Moritomo Gakuen to go along with the bureau’s explanation that a huge amount of waste had been removed from the land. Sagawa said in the Diet that documents related to the land sale had been discarded. Not only were such documents later released, but some of the files that were submitted to lawmakers had been falsified to, for example, remove references to Akie. The Asahi Shimbun asked the Finance Ministry and the land ministry if they had padded the volume of waste and the waste-removal costs. However, it had not received a response by the evening of April 11.